On Sunday the 4th of January, CoSM will transform for a very special and exclusive Chillout presentation from Tipper. This event will feature an hour long special selection of unreleased ambient music that Tipper has produced dating back to 2001, so in the spirit of the ‘chillout rooms’ of old there will be plenty of seating, cushions, and opportunity to contemplate. Alex and Allyson will be live painting in the Dining Hall with Tipper, joined by Johnathan Singer’s projection wizardry marrying the music and the art. There are only 150 tickets available, with all proceeds being donated to CoSM, and the musical performance will be simultaneously patched into other rooms in the Gallery in expectation of this event reaching capacity. 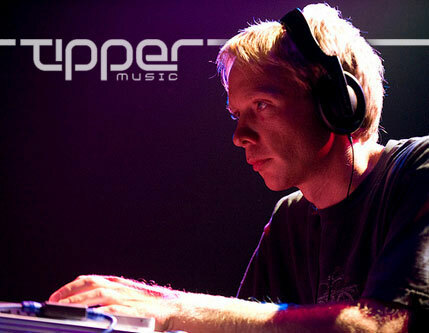 David Tipper or Tipper for short, is a British composer and producer specialising in electronic music that ranges from ambient, through trip hop, to uptempo nu skool breaks. His live performances consist largely of his own unreleased compositions, and he is noted for scratching his own sounds over his music, creating a live element of turntablism stemming from prowess early in his career as a vinyl DJ. The CoSM Shop and Cafe will be open. Rooms are available for rent in our fully renovated Victorian Mansion. Many originals and reproductions of Alex & Allyson Grey's artwork are on display in the guest house. CoSM, Chapel of Sacred Mirrors, 46 Deer Hill Road, Wappingers Falls, NY 12590 - click here for directions.